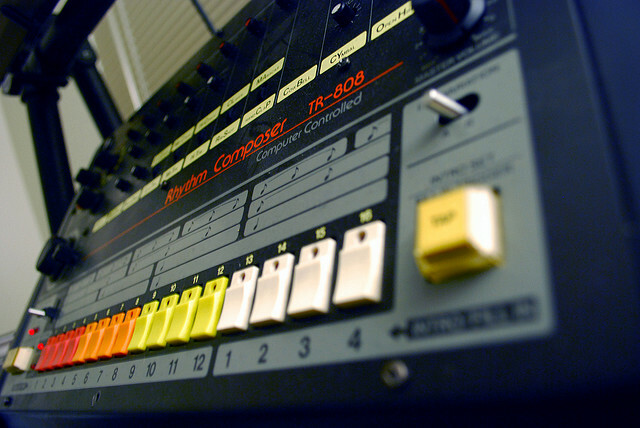 Open Thread: What is Virtuosity on a Drum Machine? Electronic music has always had a funny relationship with musicianship. It isn’t playing a traditional instrument; instead, it lies somewhere between instrumentalism and composition, between playing and conducting. Sometimes, that scale is tipped away from virtuosity of any kind. But lately, I’ve had an increasing number of conversations with people who make the tools with which we make music about what this all means. I’ll be able to share one of those conversations in a bit, but I’m curious to hear what readers think. Computers are fairly open-ended devices, so let’s take the familiar drum machine. What constitutes virtuosity? We’ve seen showy videos on YouTube – indeed, the presence of a community like YouTube is an invitation for challenge-style oneupmanship from drum machinists. But there are many forms of technical skill in live performance, some showier than others. At what point does a drum machine performance become musical performance? What elements, specifically, allow that to happen? What examples have inspired you? (YouTube videos here.) How have you resolved these challenges in your own work? Or have you resolved it? I’ll leave that question with you over the weekend. Have a good one. Next week I’ll have another take on this question, as well; stay tuned. Musicianship has only recently become primarily concerned with whether people are watching. In fact, most musical traditions from Balinese wedding music to music for religious purposes to dance music (square dance? tango?) isn’t necessarily watched intently. I would also question just how entertaining it is to watch musicians even in the classical tradition. Expression it seems may be more complex than what you see, coming down to whether on an emotional, physical level there’s a connection between what you’re doing and what’s heard, whether anyone is watching or not. (And since virtuosity requires endless practice, by definition, a lot of it is something you do alone – so you’d better be comfortable without an audience at least some of the time.) I’m curious to see if others agree and if that tempers your answer.